Dr. Brenda Carol Cunningham, 61, of Orlando, Florida lost her courageous battle with cancer on Thursday, May 3, 2018. Born in Cincinnati, Ohio on August 19, 1956 to Helen and Ernest Adams, she moved to Orlando in March of 1960. Brenda attended Southeastern Bible College and graduated in 1977. 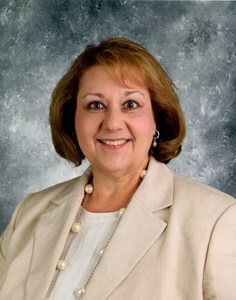 She went on to obtain her Master’s degree in Elementary Education, followed by a Doctorate in Educational Leadership from the University of Central Florida. She devoted her life to a career in education, working as both a teacher and principal in the Orange County Public School system over the past 34 years. She was recognized by her colleagues as a fearless leader and supportive mentor. Brenda was widely admired for her unwavering faith and touched many lives as an accomplished pianist and through her leadership in musical worship. She will be especially remembered for her quick wit and humor, great sense of style, and the tenaciousness that allowed her to achieve top rankings in many diverse endeavors. She was a pillar to her family, always hosting elaborate holiday celebrations, and making sure everyone felt special. In recent years, she was dedicated to the loving care of her mother. She is survived by her mother, Helen Catalano; her brother, Mark Adams; his wife, Denise Adams; her niece, Sarah Adams; and many friends and colleagues. She was preceded in death by her father, Ernest Adams. Funeral arrangements will be held Saturday, May 12th. Additional details to follow. To share your memories of Brenda or leave a special condolence message for her family, please click the Share Memories button above. Add your memories to the guest book of Dr. Brenda Cunningham. I had the privilege of knowing Dr. Cunningham both as a student at Lakemont Elementary and as a parent of a student. My family and I are going through an exceedingly hard time, and during a parent-teacher conference, Dr. Cunningham was incredibly empathetic and helped us tremendously. She was willing to work with us to ensure my daughter's continued safety and alleviate our concerns about the issue at hand. I hate to admit that I had no idea she was ill, and did not know she'd passed away until tonight. My memories of Dr. Cunningham are warm and fond. My condolences to her family and friends, and anyone who knew her. It was an absolute honor. So sorry to hear of Brenda’s passing. Brenda was so excited when she became the principal at Waterford and treated everyone as family. She approached her move to Lakemont with the same enthusiasm and would always want to know if there was a better way to do it. and if there was, she made it happen. Brenda and I shared our love of the piano and expecially church music. Brenda leaves a legacy that will be remembered by hundreds of children for many years to come. Prayers for her family as I know this is such a terrible loss for all of you. God bless you. I wish to extend my sympathy to the family and colleagues of Brenda. Cheney Elementary was fortunate to have Brenda as a faculty member who passionately shared her talents and love for children. My Friend Brenda Cunningham was always giving of herself to others. She loved our profession and sacrificed greatly for it. Orange County Public Schools was blessed to have her lead. Love you Brenda! I had the great pleasure of working with Brenda for ten years at Waterford Elementary. I have so many memories with this classy lady I will cherish forever. Brenda’s sweet personality, positive attitude, quick wit and sense of humor will truly be missed. When I visited in January she was so optimistic and listening intently to the nurse on the different devices she should get to make her recovery easier. She was all set to do some online shopping. Heaven has gained an angel and I’m so lucky to have known Brenda. She was not only my boss, but became a very dear friend. My life has been enriched because of her and she will always have a special place in my heart. My thoughts and prayers are with Brenda’s family at this time. May she rest in peace. Brenda and I were colleagues for many years as administrators for OCPS. She could always make me laugh, and her wardrobe was the envy of many. My condolences to her family. Please know that she was loved, admired, and respected by all. God Bless. Dr. Cunningham was an outstanding principal I've had the pleasure of working with for several years. Please accept my deepest condolences for your family's loss. May you be comforted by the outpouring of love surrounding you. Words cannot even begin to express our sorrow. May your heart and soul find peace and comfort. I had the privilege of working with Brenda for the last 8-9 years. I enjoyed our long talks and always admired her passion for public education. When she told me about her diagnosis, her entire focus was finishing the school year to be there for the kids and her staff. That tells you all you need to know about Brenda Cunningham. She was one of the most selfless people I’ve ever met. Often at our meetings, we would spend more time talking about my 1st & 3rd grader then we would her finances. She will be missed! I had the privilege to work under Dr. Cunningham’s leadership for the past 6 years at Lakemont. I will remember her sense of humor and how she would always have us laughing at faculty meetings. She was a sweet lady that we lost too soon. My prayers and condolences to the family. You are at peace now and will NOT be forgotten! Smooches! Dr. Cunningham gave me my first opportunity to work for ocps, and for that I will be forever grateful! She was so sweet, beautiful and always dressed to impress! I especially liked when she wore leapard print to go with the schools mascot! She was definitely one of a kind. RIP, sweet Dr. C! SMOOCHES ?? Dr. Cunninham was an amazing person. She was my childrens elementary principal. She was always kind and thoughtful. Our family sends our deepest condolances to her family. My deepest condolences to Dr. Cunningham's family and close friends. My heart goes out to you as you mourn the loss of such a beautiful soul. Brenda was more than the best boss ever... she was my friend, mentor, confidant, leader, cheerleader and sister in Christ. She was instrumental in helping shape the person I am today. To say she was loved and will be missed is a huge understatement. I choose to remember and honor her legacy of love and generosity by sharing kindness and wisdom with others as she did. I am blessed beyond measure to have such priceless memories and experiences with such a phenomenal human being. Heaven is just a little more FABULOUS now that you are there. Rest in peace my dear friend ~ smooches ~ Love you ~ mean it! Dr. Brenda Cunningham will always be remembered, as a happy, warm and with a welcomed sense of humor. I feel a great loss to the Orange County Schools Community,students, parents, family and friends. I will continue to keep all in my heart as I pray. Dr. Cunningham was the reason why I became a substitute teacher. Her love of and for education was admirable. She truly loved her students ??. My family- especially my 3 sons who attended Waterford Elementary when Dr. C was principal- were deeply saddened by her passing. May God continue to embrace her family in His love. Brenda was principal to all three of my children at Waterford Elementary, they loved having their pictures taken with her every year for the first day of school. After getting my teaching certification, we reconnected, this time as professional colleagues and friends. I was surprised and happy to discover her deep and abiding faith in God, something we have in common, and which we talked about. She was deadpan funny, had a quick wit, loved her family and students, and always had something positive to say to me. I'm so glad I was able to see that side of her these past couple of years. May God bless her family. I had the privilege of working with Brenda at Waterford when she hired me 15 years ago. She was an amazing principal and truly cared for each of her students, my children included. Brenda was such a joyous person, fun to be around, always had something to make you laugh. Her love for the Lord radiated from her. She will be missed. I know for sure that her legacy, love, laughter and leadership will impact Lakemont Elementary forever. I feel so so very blessed to have known her. She was an amazing principal and an inspirational person to so many people. I am so very sorry for your loss and pray that you all can feel God’s love and peace at this time in your life. Dr. Cunningham was a person you could trust , confide, and talk to her about anything, an extraordinary Lady . She was my principal for about 15 years, we became friends and shared many memories. She will truly be miss. My thoughts and prayers are with the family at this difficult time. I am so saddened to hear of the loss of Brenda. I had the privilege to work with her while she was at Waterford Elementary. She was an outstanding lady . Brenda was such an inspiration to me. During my first three years of teaching, she was my VP. Brenda was always there. She will be sorely missed. My thoughts and prayers are with you all at this very difficult time. Last month, I called Brenda because I had heard that she had retired, and I knew she had planned on working several more years. She told me she had been diagnosed with cancer, and had indicated that the treatments seemed to be working, and she was looking forward to recovering. We talked about planning a lunch together when she felt better, and she said she would look forward to that. Last week, I received a text that Brenda had passed away. Brenda was a great mentor, a great colleague, and a great friend! She impacted many people in her life and will be truly missed. One of my favorite memories of her is when we had representatives from Nickelodeon putting on a program at Waterford. At the conclusion of their program, Brenda and I both got slimed with their famous green slime. We were laughing so hard at the sight of each other being green with slime, and the funny part is, several weeks later, both of us still had green color behind our ears! I know Brenda had deep faith, and I am comforted that she is now resting in peace in the glory of God in heaven!